Quinn has been supporting Joyce financially, legally, and sometimes emotionally, while he was writing the novel. He’d even gone to court for the right of The Little Review to publish ‘obscene’ chapters. Quinn didn’t win that legal battle, but felt that getting the publishers off with a $100 fine was itself a victory. Congratulations publication Ulysses. Best wishes. Write soon. If Joyce wants to write to me at any time it is open to him to do so and not through you. Sylvia Beach and James Joyce in her bookshop, Shakespeare & Co. But what has made him even angrier is that in her most recent letter she has asked whether Ulysses’ US copyright is covered by the publication of the chapters in The Little Review. 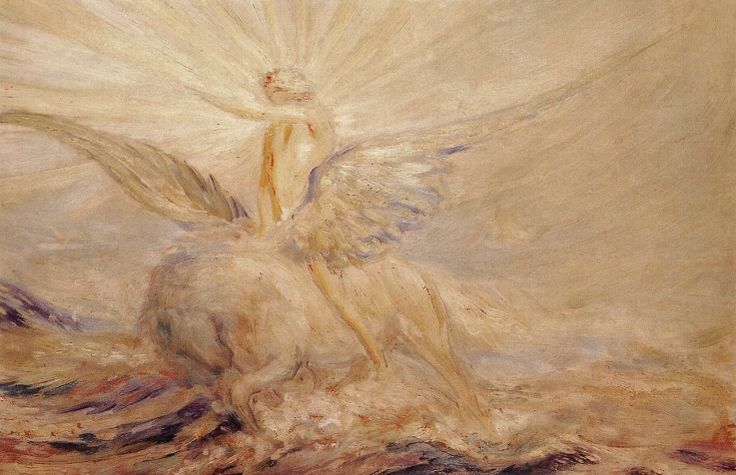 Quinn reminds her that he has already told Joyce, often, that it is. However, her advertisement for the novel in the magazine might set off the censors again! Now the customs authorities will be watching all the post from Paris to New York. They will become my property and then I must be consulted as to how they are to be sent here…[Set them aside] carefully wrapped up, and held subject to my order. He then suggests ways copies might be smuggled into the US via Canada. Now Quinn has to focus on his problem right here in New York: John Butler Yeats, painter and father of his friend, poet William Butler Yeats, 56, whom he has been supporting for the past 14 years of his self-imposed exile in Manhattan, has died, aged 82. Quinn’s ‘assistant’ (and lover), Mrs. Jeanne Foster, 42, has been watching over JB in his lodgings on West 29th Street the past two days, and he succumb in the night. Quinn and Foster have to deal with the doctor, the friends, the visitors—and what about the funeral? New York or Dublin? Downtown from Quinn’s 11-room Central Park West apartment, lunch is on at The Algonquin Hotel. For the past three years, the writers and freelancers who work for nearby newspapers and magazines—Life, Vogue, the World—come by to have lunch and trade quips. Dorothy Parker, 28, nee Rothschild, is trying to calculate if she can afford a half-order of the eggs. Her friends are carefully avoiding discussing her recent suicide attempt. The fact that she had ordered dinner to be delivered from the nearby Alps Restaurant just before she tried to slit her wrists with her husband’s dull razor, makes it more drama than tragedy. Go easy on this suicide stuff. First thing you know, you’ll ruin your health. Farther down in midtown, in Scribner’s offices on Fifth Avenue, editor Maxwell Perkins, 37, is planning to have a discussion with his current star author, F. Scott Fitzgerald, 25. We ought to…get away altogether from the flapper idea. Farther down Manhattan, at JB Yeats’ rooms in Chelsea, Quinn and Foster are beginning to sort through the late painter’s belongings, waiting for instructions as to whether JB should be sent to Ireland or laid to rest here in his adopted home, New York. Regret your father passed away this morning 7 o’clock…The end came in sleep without pain or struggle. After conference please cable desires about burial…Everything was done for his comfort and peace of mind and he had best possible medical attention. He fought bravely for life but it was almost hopeless since Wednesday. His mind was unclouded and his spirits buoyant until the end. In Dundrum, south Dublin, Lily, 55, and Lolly Yeats, 53, read the telegram they had been dreading from their American friend, John Quinn. They knew that Quinn had worried that the old man would die ‘on his watch.’ Right now, they feel nothing but gratitude for all Quinn has done for him. Of course, they will need to check with their brother Willie in Oxford, but agree that it is best to advise Quinn to handle the funeral arrangements in New York. The Times reports that 13,000 people in England and Wales have died since Christmas. They caution that one of the symptoms is a ‘tendency to “feel the heart”—ie., to palpitations,’ and that anyone suspecting they have contracted the disease should take to their beds at once. Just last month they had reported that Pope Benedict XV, 67, had died from influenza that turned into pneumonia. T. S. Eliot, 33, is trying to get his new long poem published. As soon as he returned home last month, reinvigorated by a three-month leave spent in Switzerland, he had been laid low with the influenza for a good ten days. At least that meant time away from his dreaded office at Lloyds Bank so he could work on finishing off The Waste Land. Eliot has been corresponding with The Dial magazine in the States, but is leery about the deal on offer. He feels he had been burned a few years ago by a contract with Alfred Knopf that John Quinn had negotiated for him. Now he is using his friend Ezra Pound, 36, as a go between. I have taken it into my head that I shan’t live till 70…Suppose, I said to myself the other day[,] this pain over my heart wrung me out like a dish cloth & left me dead? Her husband Leonard, 41, however supportive, insists on following the doctor’s instructions that she must stay in bed. But Virginia wants to be out in the cold air, walking, which means writing, because she works out her sentences in her head as she makes her way through the London streets. Virginia is thinking of experimenting with a tale of a woman walking through the city while preparing for a party, the passage of the hours marked by Big Ben’s bongs. She’d read parts of Ulysses when it had been submitted to her and Leonard for publication by their Hogarth Press. She can’t imagine what kind of working class man could write like that. Newlyweds Hadley, 30, and Ernest Hemingway, 22, are back from a Switzerland skiing trip and settling in to their new fourth floor walk-up apartment at 74 rue du Cardinal Lemoine. Ernest has taken an office on the Rue Mouffetard, a pleasant five-minute walk away. Going there on a regular schedule is the only way he is going to get any writing done. After all, that’s why they came at the end of last year. Paris is so cheap, the exchange rate so good, and between his salary as a foreign correspondent for the Toronto Daily Star, and his wife’s family money, they can afford an apartment, a studio, and dinner at local cafes every night. Great French food is 50 US cents for a meal; the wine only 60 centimes for a whole bottle. Ernest is eager to get started on his writing career, and is planning to make good use of the contacts he had been given last summer back in Chicago by Sherwood Anderson, 45, author of the hit novel, Winesburg, Ohio. 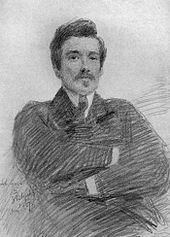 Anderson and his wife, Tennessee, 48, had just come back to the States from Paris and encouraged the young Hemingways to follow in their footsteps. He gave Ernest an all-important letter of introduction to fellow American writer Gertrude Stein, celebrating her 48th birthday. Ernest and Hadley are gathering the courage to visit Stein and her partner, Alice B. Toklas, 44, soon. Another expatriate, Kansas-born Robert McAlmon, 25, is in Paris, also with his new wealthy wife, Bryher, 27. As well as supporting himself as a writer with her inheritance, McAlmon intends to use her family money to publish other writers on the Left Bank. Soon after he came to Paris two years ago, McAlmon had struck up a close friendship with an Irishman, James Joyce. McAlmon had supported his new friend while he was struggling with his big novel, both financially and practically by helping with the typing of the manuscript. But now that publication day—and Joyce’s big birthday—is nearing, McAlmon chickens out. He takes off for the Riviera. He figures he’ll just buy Joyce a present. Standing on the platform at the Gare du Lyon, Sylvia Beach is waiting for the Paris-Dijon Express, due in at 7 am. When she’d told Joyce that her printer in Dijon guaranteed to put the parcel in the post on 1st February, Joyce was not pleased. He insisted that the package be put on the train so the conductor can hand deliver it to Sylvia personally. As the train approaches, Beach is working out her next steps in her head. She will get a taxi to Joyce’s apartment, to give him the 40th birthday present that he wants the most, the first copy of Ulysses. There is a small party planned for tonight at one of Joyce’s favorite restaurants, Ferraris. He and his partner, Nora Barnacle, 37, and a few friends will be celebrating his accomplishment, seven years in the making, the result of his relentless vision and the support of his family, Sylvia Beach…and John Quinn. John Quinn was born in 1870, the first of eight children to Mary Quinlan, who had come to Ohio from Ireland as an orphan almost 20 years before, and James W. Quinn, whose family emigrated from County Limerick around the same time. Only five of the other children survived—a good percentage for those days—one younger boy, James, and four girls, Anne, Jessie, Clara and Julia. I haven’t been able to track down birth dates for any of them. When my brother Patrick and I went searching for John Quinn in his hometown of Fostoria, Ohio, we naturally started with the graveyard, where we found a large Celtic cross and plain flat headstones for most of the family members. I was particularly interested in the Quinn plot because family deaths are what sparked John’s first trip to Ireland, leading to all of his other international adventures. when Quinn would have been in his late twenties, a successful lawyer in New York City with law degrees from Georgetown and Harvard Universities. According to one report, he took his father’s death quite hard, perhaps because he spent most of his time in New York rather than with the family back in Fostoria. died within either ‘days’ or ‘months’ of each other, depending on which source you believe. Clara became an Ursuline nun, so might be buried with her order, and Julia married a local druggist, Will Anderson. So he was probably first in and the others, whether deceased before or after him in 1924, were moved there later. The deaths of the women in his family so close together is what motivated John to travel to Ireland for the first time, in the summer of 1902, when he met William Butler Yeats, then 37, Lady Augusta Gregory, 50, and other members of the Irish Literary Renaissance. This was the beginning of his life as a supporter of the arts and friend to the artists of his time. After my Dad died in 1992, I too went to Ireland in the summer, 90 years later. It was my second trip, and I took part in an archaeological dig. ‘To find out if your roots are brown or red,’ as one friend told me. On that trip I met Tony and the Dixons, the beginning of my life as an international traveller and Irish wife. and picked up a DVD about Fostoria that I have yet to watch. It was created by Leonard Skonecki, so my brilliant brother decided to Google ‘Fostoria Historical Society,’ and was able to leave a message that we were researching Quinn and wanted to talk to him. After we had seen what we needed to in Fostoria, we headed down the road to Tiffin, Ohio, where the Quinn family lived when John was born. They moved soon after, but we figured we might find something. Halfway there, Patrick’s in-car phone rang. It was Mr. Skonecki! He was very helpful and suggested that we forget Tiffin and high tail it over to the Fostoria library. He told us which librarians are in charge of the Quinn collection, and gave us his blessing to use his name. Thank you, Mr. Skonecki! Patrick did a quick U-turn in the middle of OH State Route 18 East and back to Fostoria we went. The Lovely Helpful Staff of the Fostoria library showed us binders filled with papers and clippings and letters and print outs of emails, all related to Quinn. And then pointed to the clock to emphasize that we only had about one hour to deal with it before they closed. So Patrick and I spent an hour in a whirlwind of skimming, copying, collating, and stapling. I came home with a whole pile of stuff to go through at my leisure. …poet, playwright and linguist Douglas Hyde, 38, is putting on a ‘Punch and Judy’ show for kids as part of the local school festival. 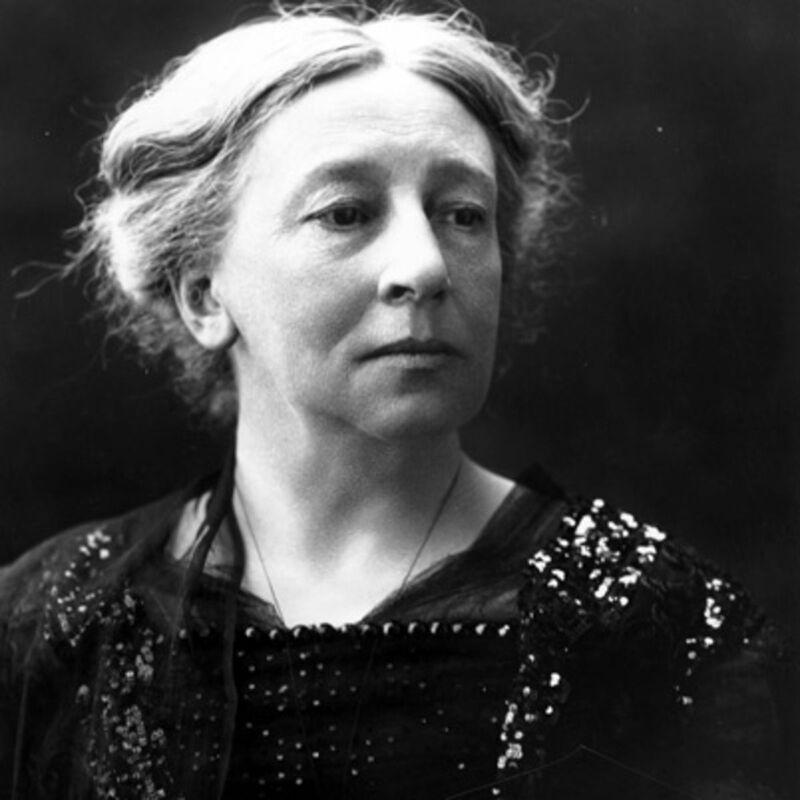 His hostess, Lady Augusta Gregory, 46, presents the play first in English, and then Hyde does it in Gaelic. 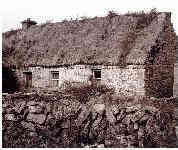 Augusta and he met this past summer when he was traveling around the west of Ireland, collecting stories. He would stop on a country road and pretend that his bike had broken down until a passing farmer would stop to help him. They’d end up back in the farmer’s house for a drink. 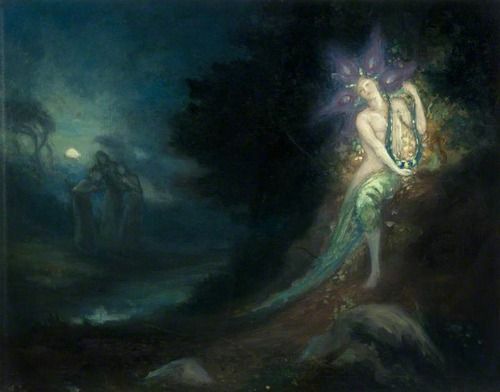 Hyde’s proficiency in Gaelic helped him draw out their folk tales in their native language. 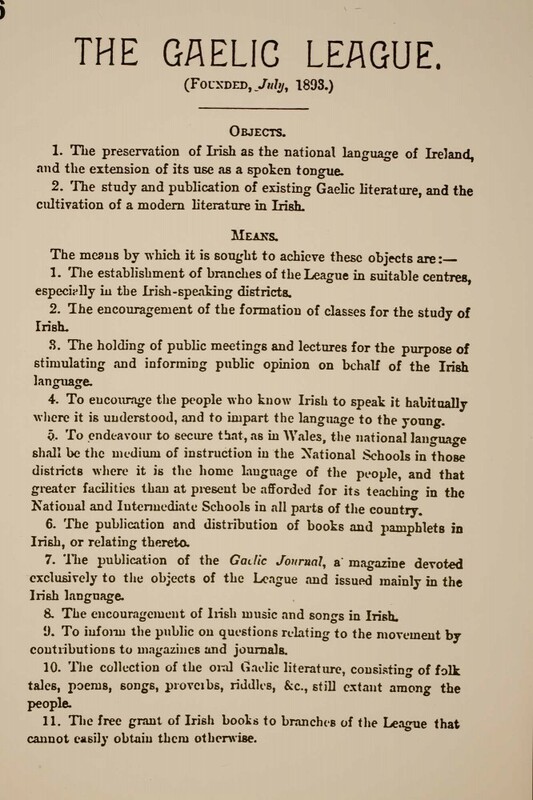 Augusta is interested in learning more Gaelic, and having Hyde ‘put the Irish on’ the plays she and poet William Butler Yeats, 33, are writing for their theatre. The plays will be performed in English, but they need to sound right. So they will write them in English. Hyde can then translate them into Irish, and then back into English. Hyde is happy to help, and he thinks both Yeats and Lady Gregory can be useful to his organization, The Gaelic League. And besides, Lady Gregory and he actually like each other. …Lady Augusta Gregory, 52, is critically watching the rehearsal of A Pot of Broth, a little comedy she wrote a few years ago with William Butler Yeats, 39, for their theatre. Augusta is thinking that, after the rehearsal, she’ll invite everyone over to her room at the nearby Nassau Hotel to re-hash the performances and make suggestions. Earlier this evening she’d had dinner with Yeats and John Quinn, 34, the handsome Irish-American lawyer from New York. He’s been coming over to Ireland in the summers to uncover his Irish roots, and spending more time with her here in Dublin and at her western Ireland home, Coole Park. 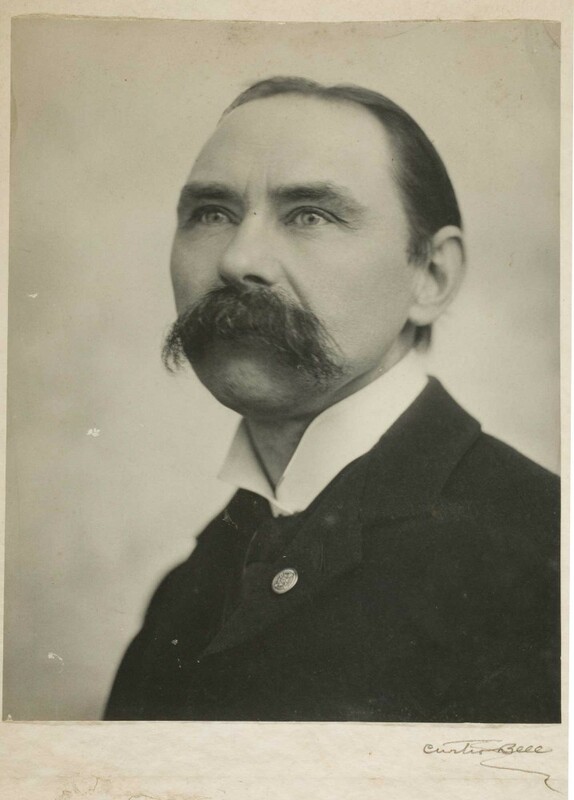 Quinn has been talking to one of the other theatre principals, Douglas Hyde, 44, about arranging an American lecture tour to raise funds for Hyde’s Gaelic League.. But tomorrow, Quinn will be off to London and Augusta will head back to Coole. She’s thinking it would be great to bring the theatre over to New York for a tour sometime soon.